In the opening months of 1949, U.S. President Harry S. Truman found himself faced with a looming diplomatic catastrophe--'perhaps the greatest that this country has ever suffered,' as the journalist Walter Lippmann put it. Throughout the spring and summer, Mao Zedong's Communist armies fanned out across mainland China, annihilating the rival troops of America's one-time ally Chiang Kai-shek and taking control of Beijing, Shanghai, and other major cities. 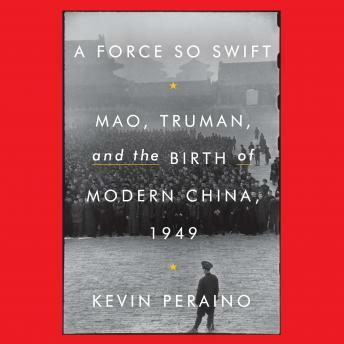 As Truman and his aides--including his shrewd, ruthless secretary of state, Dean Acheson--scrambled to formulate a response, they were forced to contend not only with Mao, but also with unrelenting political enemies at home. Over the course of this tumultuous year, Mao would fashion a new revolutionary government in Beijing, laying the foundation for the creation of modern China, while Chiang Kai-shek would flee to the island sanctuary of Taiwan. These events transformed American foreign policy--leading, ultimately, to decades of friction with Communist China, a long-standing U.S. commitment to Taiwan, and the subsequent wars in Korea and Vietnam. I thought in general this was a very good book and much to learn about during 1949. The historical aspects of the book helps us to put into context where the United States, China and Russia sits today and where the relationship started.